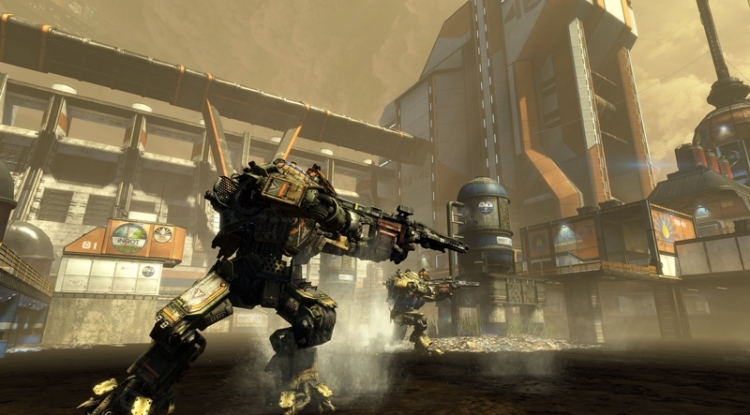 Titanfall's first DLC pack Expedition will be launching this week. 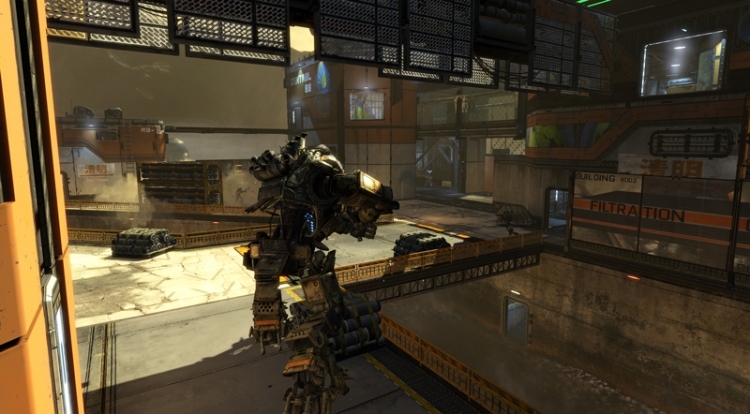 The Expedition pack introduces three new maps for the mech and parkour shooter. The first map in the Expedition pack is "Swampland." While most maps in Titanfall take place in and around futuristic bases or cities, Swampland is set in the wilderness. The map is a large marsh with huge trees that can be used by Pilots to quickly traverse the environment. "War Games," by contrast, features an entirely man-made environment. The two teams battle for control of a virtual reality simulator. 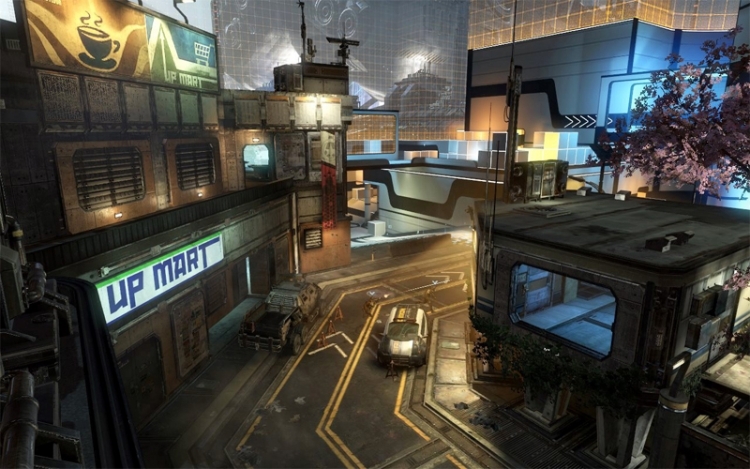 The control points are modeled after environments from other Titanfall maps. These areas are connected by almost Portal-like trial areas with white walls and colored force fields. Finally, "Runoff" brings the action to a water treatment plant. 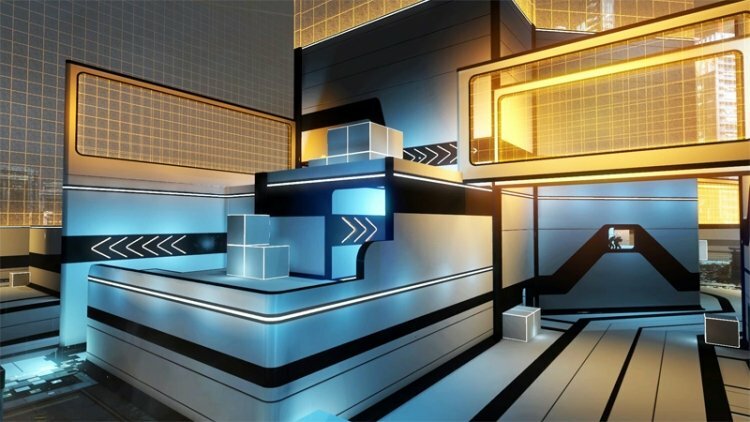 "The core concept of the level is multiple layers of paths: concrete canals filled with water and trash below, and upper levels that are cleaner and more industrial," designer Geoff Smith said in the official preview of the map. "I thought the canals would be cool for Titans to fight in, with Pilots able to jump across them. I also set out to make more choke points in the level, something that is pretty hard to do in our game, at least for Pilots with their enhanced mobility." 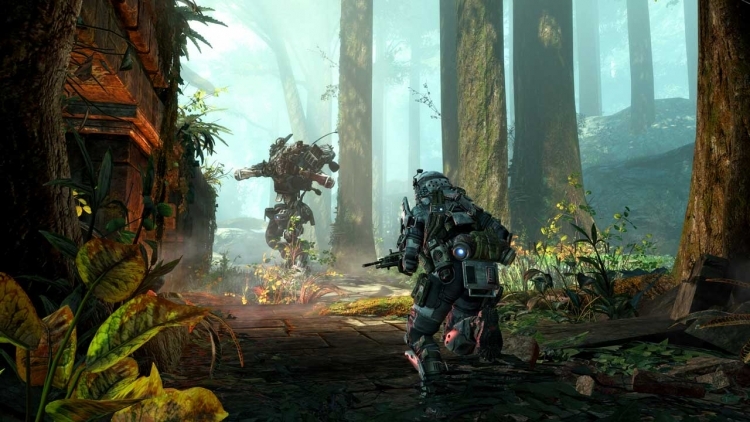 Titanfall: Expedition will be released on Xbox One and PC on May 15th. The DLC, like the game itself, will arrive on Xbox 360 later than the other platforms. Expect Expedition to hit Xbox 360 sometime in June. Expedition is one of three DLC packs coming to Titanfall. Each DLC will be priced at $9.99. Gamers can get a bulk discount by purchasing the $24.99 Season Pass to get access to all three packs. 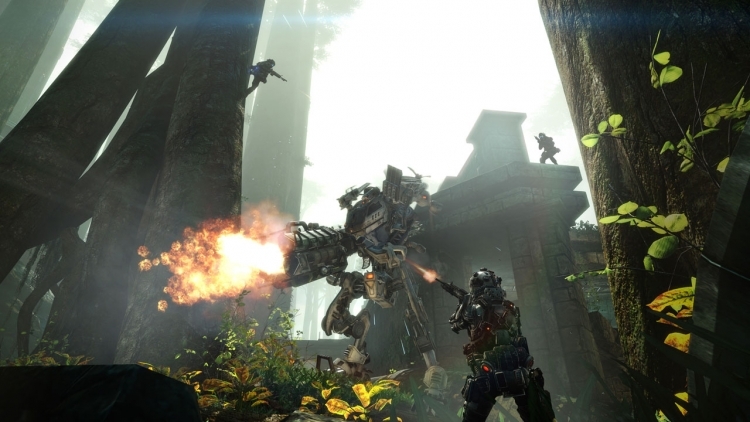 Developer Respawn Entertainment also plans to release free content updates for the game as well. These freebies will include new features, burn cards and modes. Some of these free modes might be limited-time variations on existing modes. If they prove popular, Respawn could add them to the game permanently.